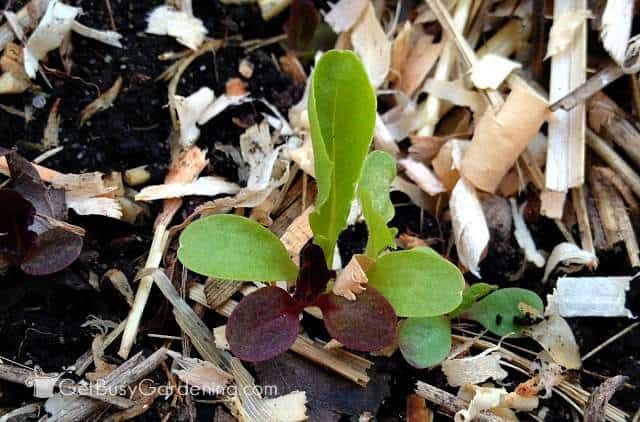 Growing lettuce from seed is not only rewarding, it’s super easy too. 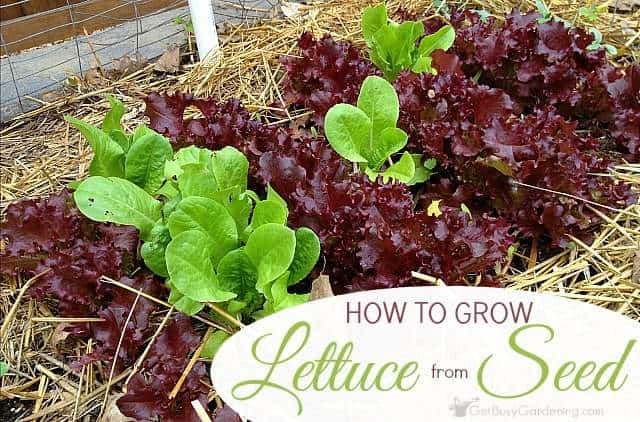 In fact, lettuce is one of the easiest vegetables to grow from seed, and it takes very little effort to get a great crop of garden fresh lettuce. Successfully growing lettuce from seed is more about timing than anything. I plant lettuce seeds throughout the spring, summer and fall so I have a steady harvest of lettuce through the entire growing season. I hate when winter comes and I have to buy the flimsy lettuce from the store that turns to mush in a matter of days. 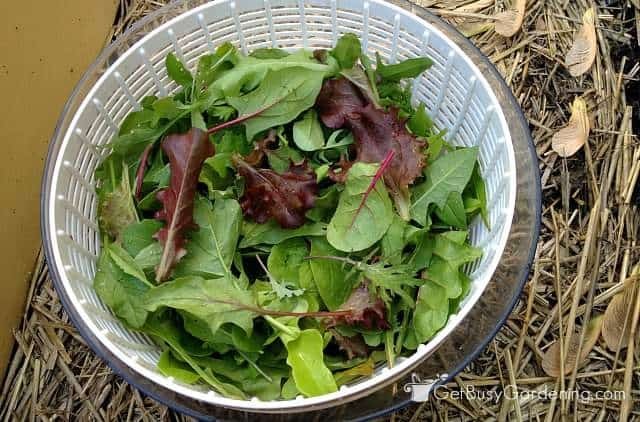 So I grow as much lettuce as I can during the growing season, there’s nothing like walking out the to garden to harvest a fresh delicious salad every day. Mmmmmm! Lettuce is not only delicious, it can be beautiful too. I like to buy lots of different lettuce varieties and plant them throughout the garden to help add tons of color to my vegetable garden. Some of my favorite types of lettuce to grow in my garden are mesclun mix, Valentine mesclun and Romaine Rouge D’Hiver Lettuce. One of my favorite things about growing lettuce from seed is that I can plant it earlier than many other crops. 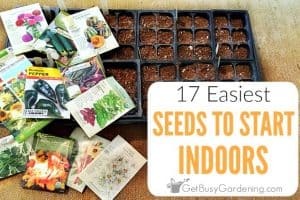 Lettuce seeds can be started indoors, but I find it much easier to just sow the seeds directly into the garden in early spring. 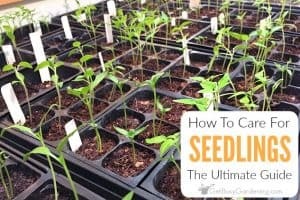 If you can’t plant lettuce seeds directly in the garden, you can start the seeds indoors just as you would with other seeds. 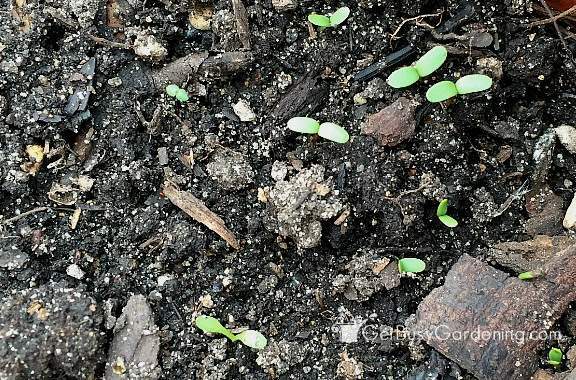 If you choose to start your lettuce seeds indoors, be sure to use a light-weight commercial seed starting soil mix, or you can make your own DIY seed starting mix. Lettuce is great because it doesn’t need a lot of space to grow, so you can tuck it in just about anywhere in your vegetable garden. 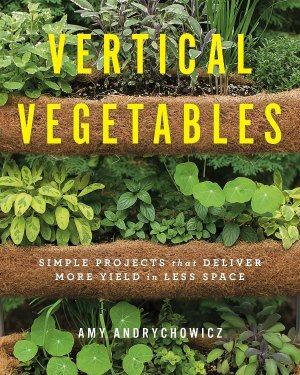 I plant my lettuce under an a-frame trellis or a lean-to type support, where I plant pole beans or cucumbers once the weather is warm enough. By the time the beans and cucumbers start to grow over the trellis, my first crop of lettuce is done and I start sowing my second crops. Lettuce also grows very well in pots and container gardens. Lettuce grows best in part shade, but will tolerate full sun in the spring. The intense summer sun will burn the leaves, and lettuce will bolt (start to flower) and become inedible in the heat of summer. It’s best to plant lettuce in the early spring or late summer/fall because lettuce does best in cooler temperatures. 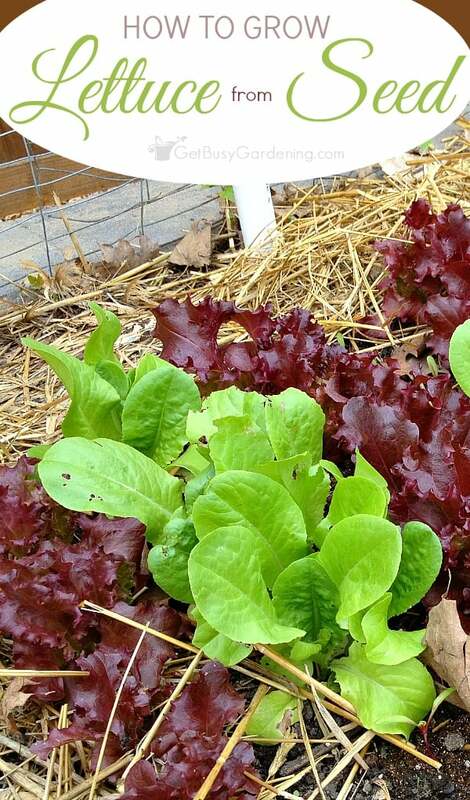 Plus, lettuce is hardy so it can survive minor frost in early spring and fall. 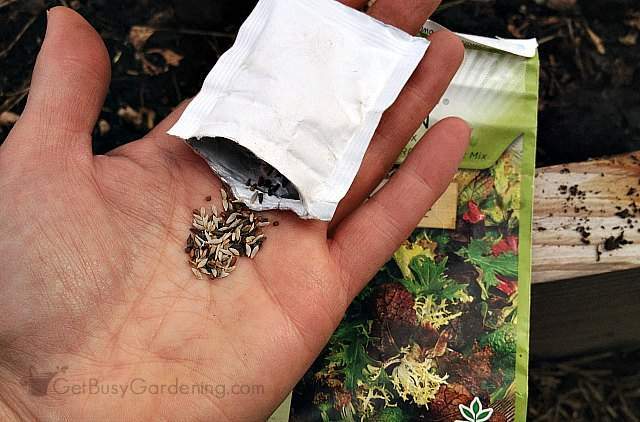 I plant lettuce seeds as soon as the ground is workable in the spring. 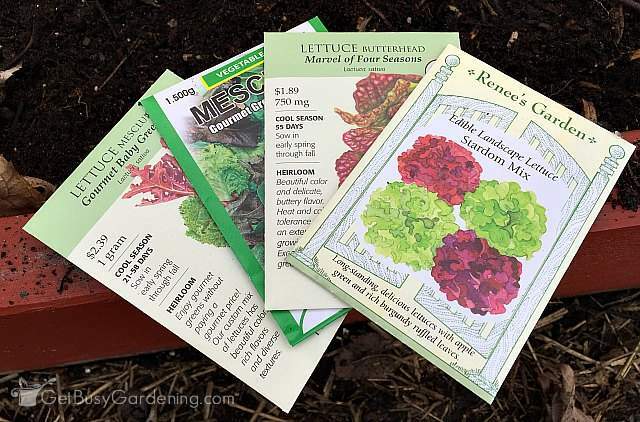 Don’t get too caught up on what the seed packet says about the proper way to plant lettuce seeds. 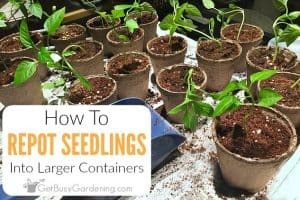 You don’t need to worry about perfectly spacing those tiny seeds, making sure they are planted at a specific depth, or planting them in rows (unless you like orderly rows in your garden of course). Just sprinkle the lettuce seeds over the top of the dirt. Lettuce doesn’t need much space to grow, and it will be just fine even if it’s a little crowded. That’s it. It really is that simple. Once all the lettuce seeds are sown, water them well and keep the soil evenly moist (but not soggy) until the seeds start to grow. Soon you’ll have cute little lettuce seedlings popping up. 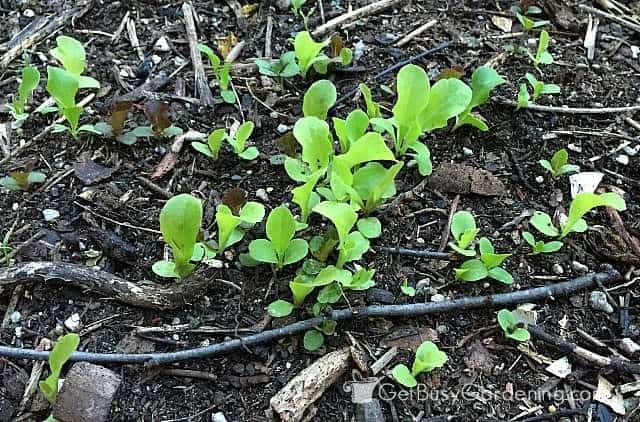 If you end up with lettuce seedlings that are overcrowded, then you can thin the seedlings to give each plant a bit more room to grow. Lettuce can be harvested as soon as the seedling has more than three leaves, but it’s best to wait until they start to get a bit bushy before harvesting. Lettuce is best when you harvest it when the leaves are young and tender. Don’t pull the whole plant when you harvest, just pluck a couple of leaves from each plant as you need it. You can keep harvesting leaves off of lettuce plants until the plant starts to bolt (or get tall and grow flowers). Once lettuce starts to bolt, pull the whole plant and toss it into the compost bin, or you can let it go to seed and collect lettuce seeds for next year. Growing lettuce from seed is fun and rewarding. 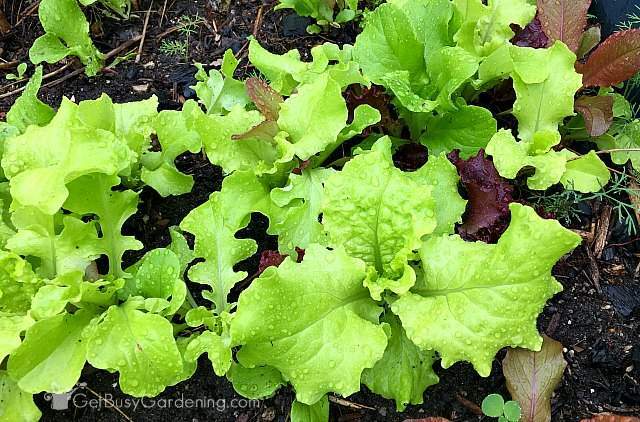 If you are new to starting vegetables from seed, lettuce is a great one to start with. Share your tips for planting lettuce seeds in the comments below. Isn’t lettuce a great plant! My husband tasted fresh garden lettuce for the first time last year and then during the winter he wouldn’t eat the store bought stuff because he said it had no taste! I’m thinking that I’m going to try and rig up some plastic and hoops to make one of those mini green houses over part of my garden so that I can continue to grow lettuce and other greens over the winter. Lettuce is such a great beginner plant because as you said there really is nothing to it except to toss the seeds on the soil. Absolutely love it. Last year I was prego and didn’t have a whole lot of energy so the lettuce I planted bolted early…but now I’ve got lots of little lettuce plants popping up all over my yard. Now I just need to dig them up and put them in my garden so they don’t get run over by the lawn mower! Yes, I love it too. I am like your husband and hate getting lettuce from the store during the winter!! I wish I could grow it year round under a hoop, that would be awesome! Have fun if you decide to give it a try. It looks like it is coming along just nicely! I first grew lettuce as part of a school project when I was younger, then last year I decided to do it again and I can tell you something, I have NEVER tasted anything like it! Lettuce tastes 100% better when home-grown. Great Post- I love it! Thanks for sharing! This is a fantastic article on something that surprisingly not a lot of folks know! With is interesting given the demand for very fresh and high quality food. Another great thing about growing your own lettuce from seed is you get to try some really neat varieties that you won’t find anywhere else. Lettuce comes in so many forms, shapes, colors, textures, and flavors- it’s quite amazing what we miss out on if we stick to store-bought lettuce. I’ve grown lettuce in all sorts of containers. I’ve even grown it in my kitchen under a simple daylight spectrum compact fluorescent bulb in a lamp. I do herbs this way too. It’s the only way I’ve tried that works for getting fresh lettuce (and herbs) during our winters here in Minnesota. Great post Amy, as always! Thanks! I love that you grow lettuce through the winter in Minnesota! I need to try that some time. I really like lettuce because it’s quick and easy to grow like you said and works well in pots. Plus, I have to small girls ages 3 and 5 and for whatever reason (I know this is insane) but if we “Grow” something as a family they will eat it. If we buy it from the store, it’s a different ball game. Anything to get my kids to eat healthy. Love this!! Would love to try planting some lettuce this spring! My garden has southern exposure. I wonder if I should try to create some shade somehow for the lettuce! 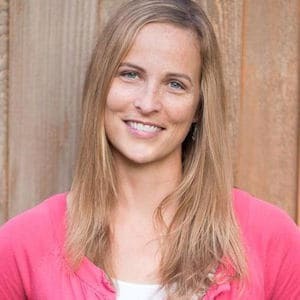 Thanks for sharing your tips at Motivation Monday on Mom Home Guide! I start my lettuce seeds reall early (as soon as the soil is ready to be worked in the spring) so they have plenty of time to grow and produce before the heat of summer sets in. If it’s too late for that this year, then yes, I would put them in a shadier spot. 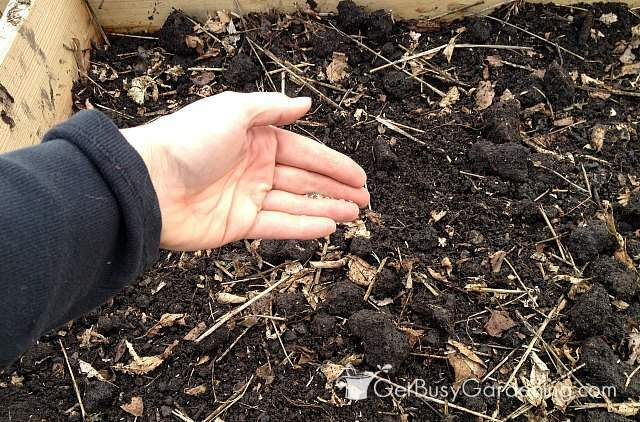 You can tuck them into raised beds next to or under other vegetables that are fast growing and can provide shade as the sun gets hotter (like beans, squash and cucumbers). Then as those warm weather plants start to take over, your lettuce will be done anyway. I tried this last year and had great results. 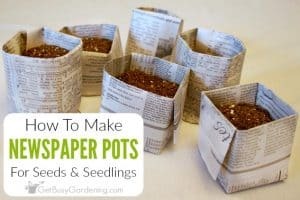 I also tried taking the bottom you cut off and throw away, putting that in water. When it has new starts on it plant it. This worked great. Some of my lettuce from last year has restarted in the garden this year. I have not yet grown anything. But, this year I started my garden, and have included Lettuce, Tomatoes, Basil, Cilantro, Watermelon and a Lemon Tree so far. They are still in the starter phrase, and I must say so far so good. So, I am very happy that I came across your website, so that I can get more helpful hints. Sounds like a great start! Good luck, I hope everything will grow well for you!